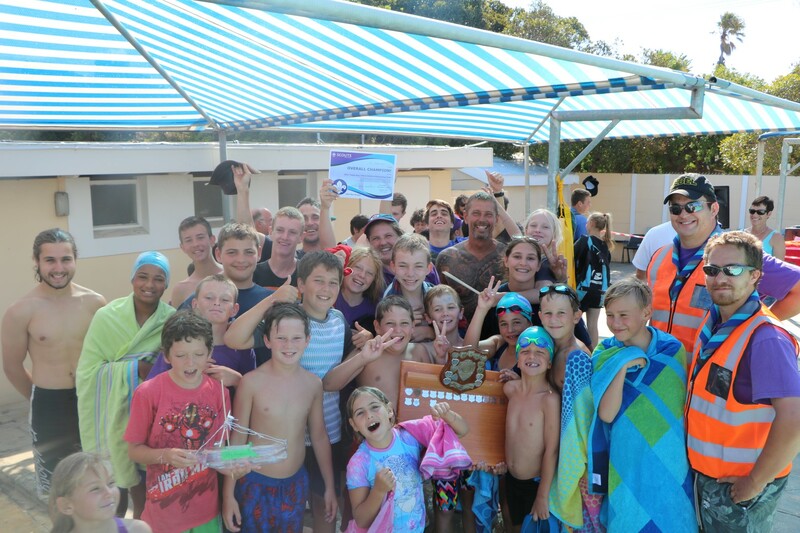 This Saturday past was the CW12 Districts first gathering of the new year – the annual CW12 Table Bay District Swimming Gala, run as usual by the Table Bay Rovers. It was time to have some fun in the Cape Town sun. 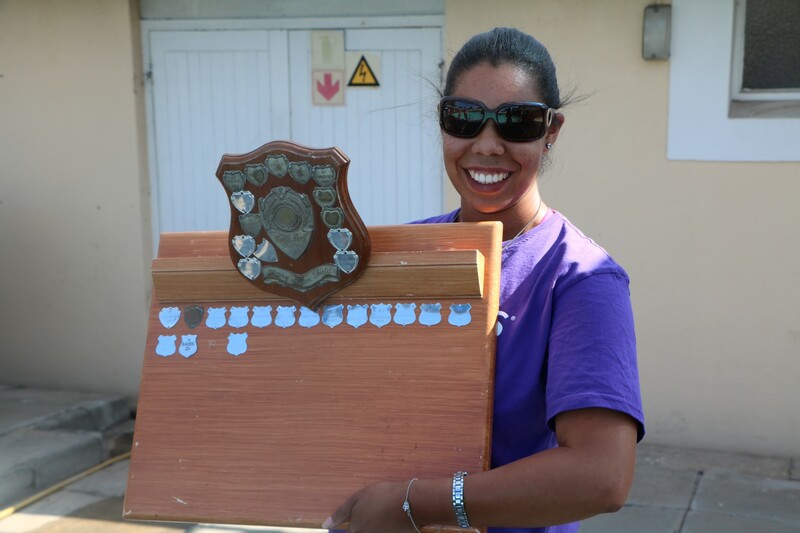 As with previous events, the format of the competition was a series of swimming events for Cubs (aged 7-10), Scouts (11-17) and adults. These participants would be contributing to an overall score for their Scout Group, and competition was fierce. The Chief Judge, Damian, was a Rover who opted to organize the Gala as a personal challenge to himself and he suggested the theme of “Pirates” for this year. 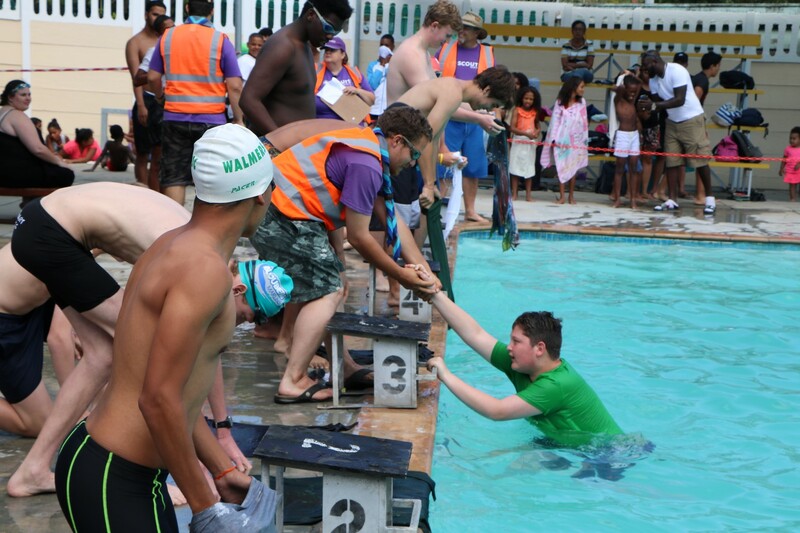 This meant that throughout the swimming program, the teams would be working on spare-time-activities (STA’s) which we assigned to them. These STA’s were a new addition at the 2016 Gala, and this year we went a step further and awarded a new “STA Award” trophy to the top performer in these events – hopefully, this added some value to all the moms and dads in the bleachers. The Gala had started earlier this year so we could take full advantage of the weather and still be home in time for our soapies. We kicked the Gala off with the basics – freestyle and breaststroke, with Cubs swimming widths of the pool and Scouts and adults swimming lengths. By popular demand, the age categories for backstroke and butterfly were shrunk this year to allow more kids to participate in a greater variety of events. There was a good effort on the part of all – and even the participation points were well earned. Before the interval, we had a chance for a new event – the belly-flop. Adults from each group were given a chance to perform their ultimate belly-flop, much to the delight of the crowds, and certainly to the horror of some of their spouses. Points were awarded based on height, style, sound and splash – and of course to maximize points you were expected to enter belly first – as beautifully demonstrated by 1st Blaauwbergs Cameron, someone who clearly does not believe that water belongs in the swimming pool. There was also a host of old-favourite novelty events on the program. The classic egg-and-spoon races came back, for the enjoyment of the younger participants. 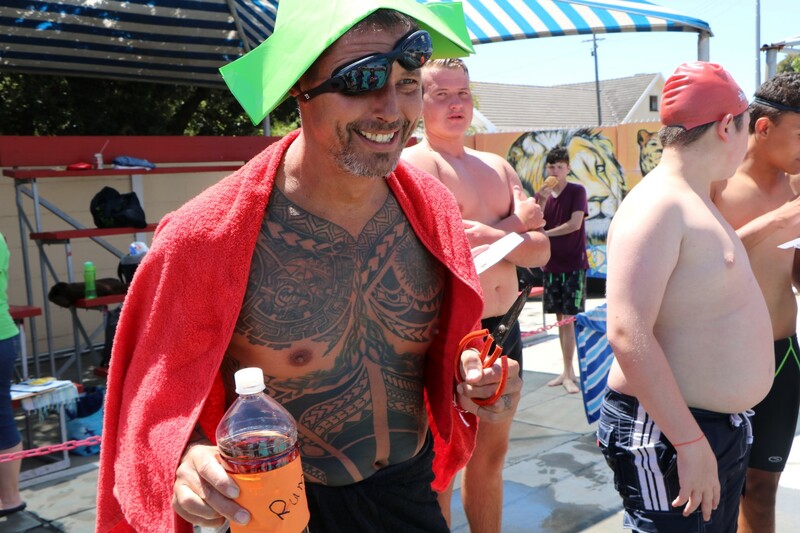 There were also piggy-back races for Cubs and adults and the wet t-shirt race (requiring the participant to put on a soggy t-shirt before entering the water). Following these events, we entered the freestyle relays, usually the events with the biggest margin of victory, but this year the competition was tough for all! Throughout the day, teams were also working on their STA’s. These included cracking a pirates riddle to unlock combination locks on an underwater chest, dressing up a pirate captain using recyclable materials and making a miniature pirate ship that would be raced across the pool using only wind. The kids loved the treasure chest STA in particular and this had many cubs and scouts around the judges wanting to get involved. The addition of STA’s is a relatively new thing in our Gala’s and we are pleased to see the groups embracing it so eagerly. As a bonus to those taking the time to read this, a clue for next years STA theme: It involves a naval themed plastic board game first manufactured by Milton Bradley in 1967. We would like to thank everyone that assisted in making this event possible, it’s the volunteers like you that make this all possible – thanks Shanet, Nathan, Devin, Darren, Kevin, Charmaine, Ruxandra, Robyn and Devon (and anyone we may have missed). Also, a big hand to Damian, our Chief Judge for 2017! We would once again like to thank the adult leaders and parents who supported their kids and contributed to making this a wonderful event full of positive attitudes. And last but not least, thank you to our gracious hosts, Milnerton Primary School! 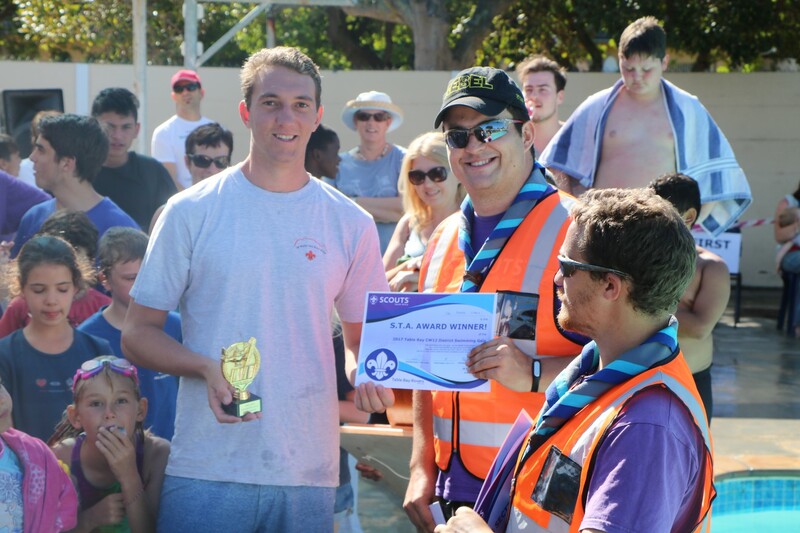 Overall, everyone had fun in the sun and we congratulate the teams that had won the trophies this year – particularly 1st Blaauwberg Sea Scouts for being the overall winners. You are the 2017 champions! To see all the details of past events, please visit the CW12 Gala resource page.